A rare ‘Atmos’ Pendule Perpetuelle clock has sold for double its estimate in the most recent Clocks, Scientific & Musical Instruments Auction. Estimated at £1,500–2,000, the clock is an earlier example of an Atmos prior to the later Jaegar-Le Coultre days. 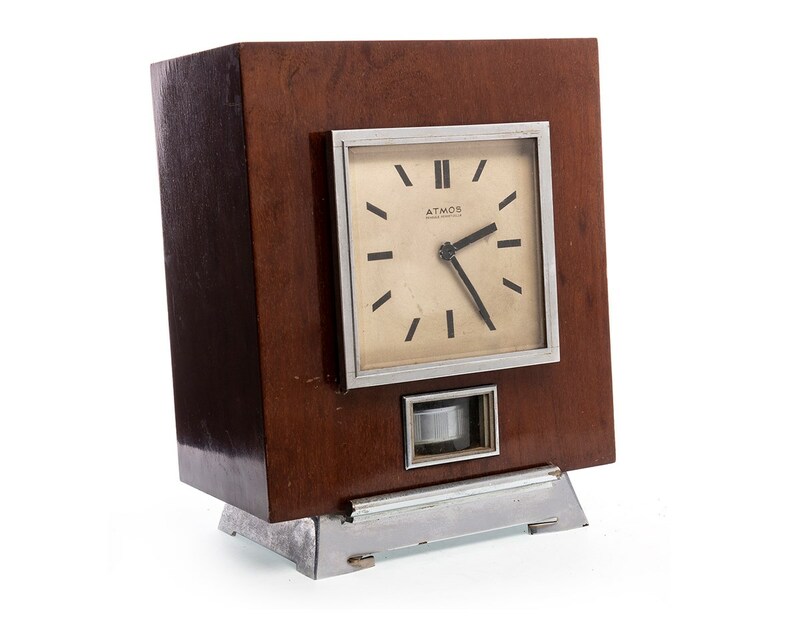 Manufactured c.1930s, the clock displays a stylish Art Deco appearance with a silvered face, baton numerals and a square-form mahogany veneered case. After fierce competition, the clock sold to a German internet bidder for £3,000 based in Munich.